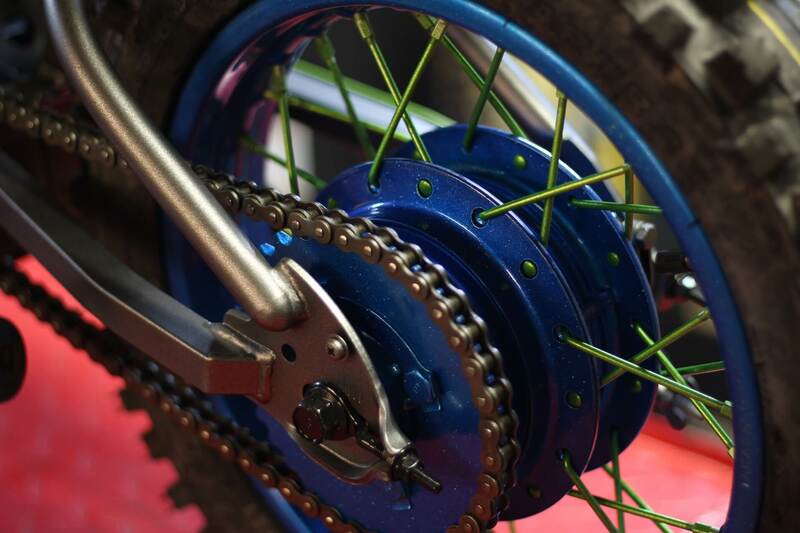 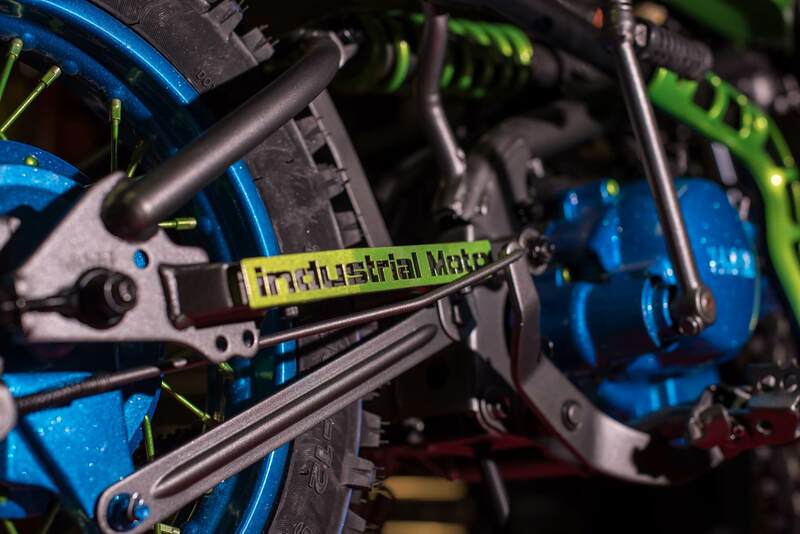 Industrial Moto is a family oriented business and wanted to include a younger crowd. 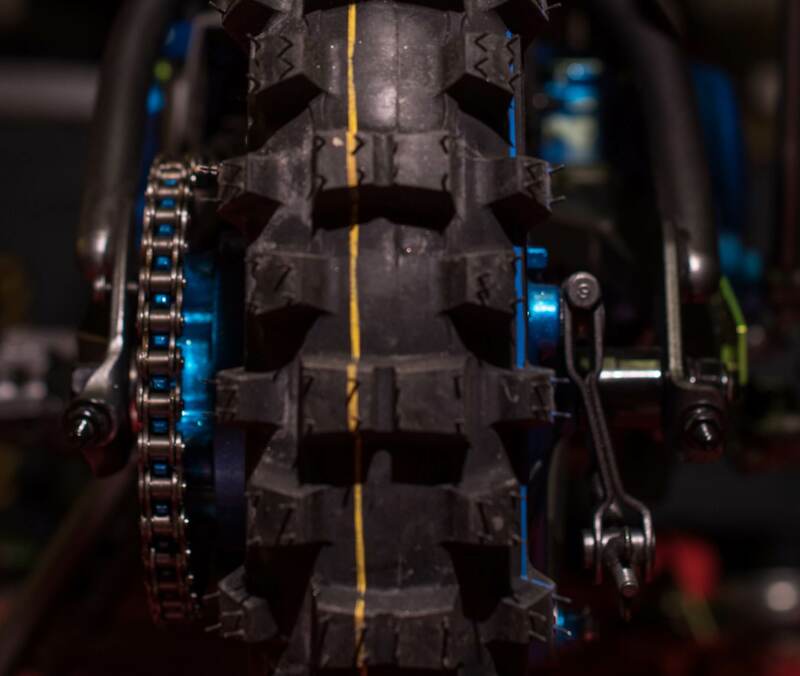 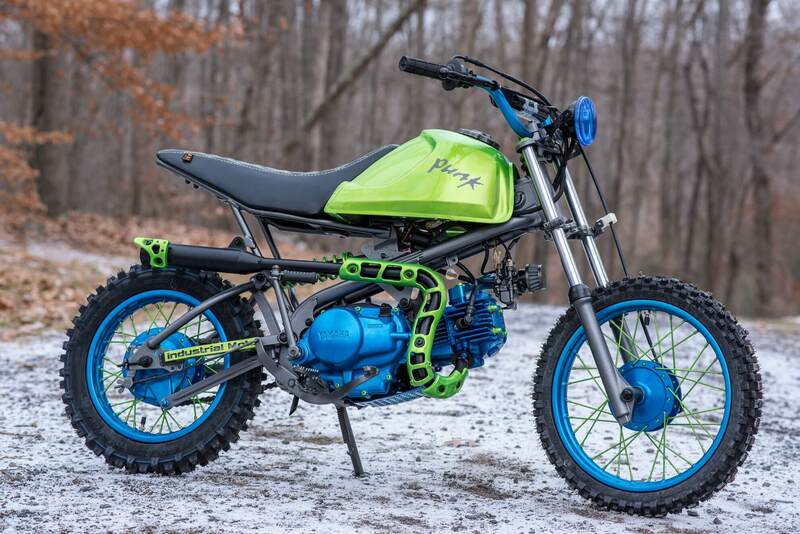 Whether you have a kid who is ready for his/her own dirt bike and deserves something truly unique, or you are a 30-something seasoned rider who needs a cool pit bike to tool around on between track day sessions, we have the solution. 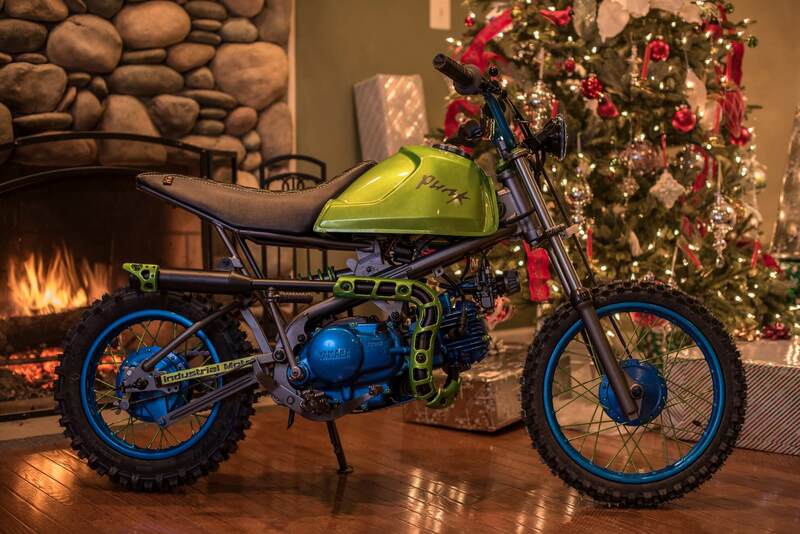 Project PUNK started out as a 2001 Yamaha TTR-90. 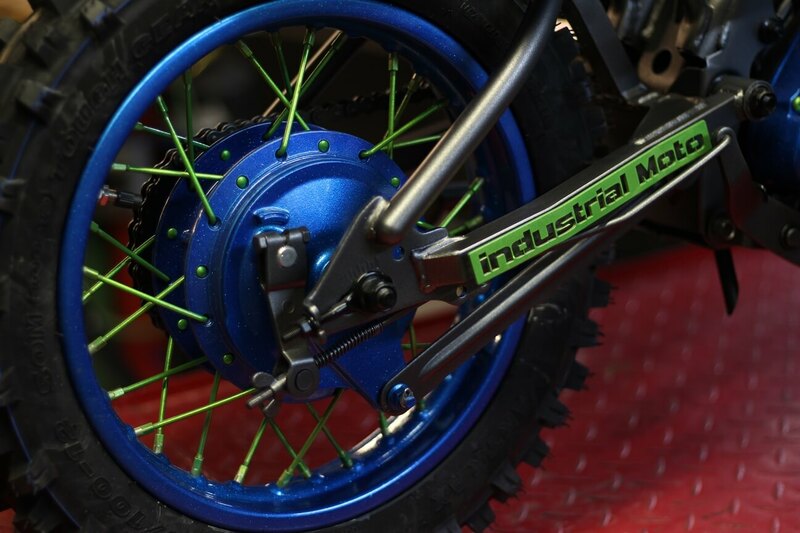 This bike has been given the complete industrial Moto treatment. 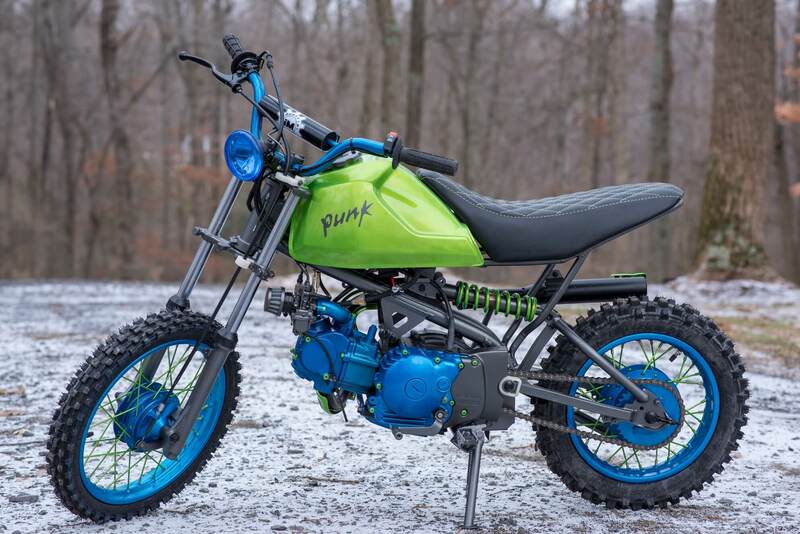 It has been completely disassembled, stripped of all finishes, and powder coated with Sparkle Granny Smith, Blue Starlight, and Flat Gunmetal Gray. 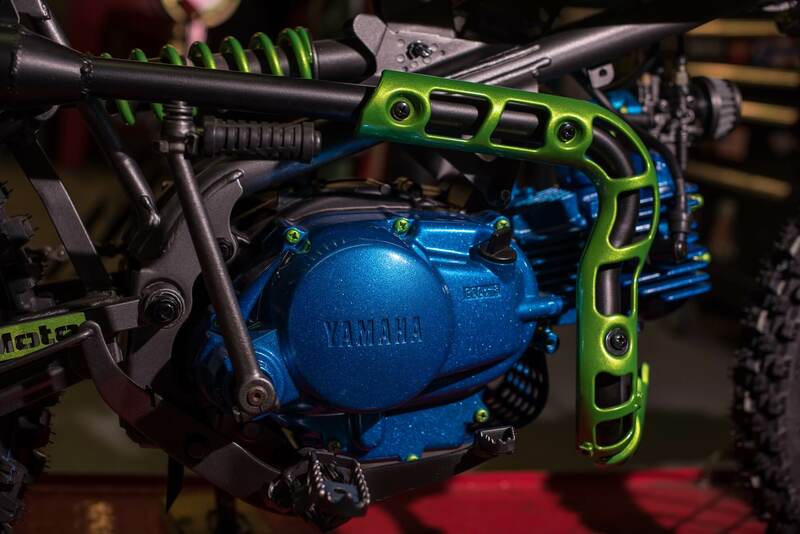 The engine has been completely rebuilt and powder coated. 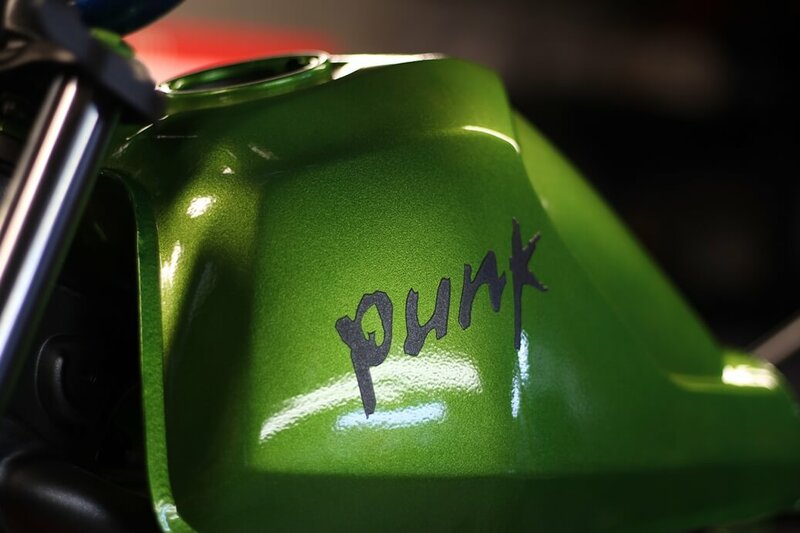 The attention to detail includes powder coated bolt heads and nuts to match the color scheme. 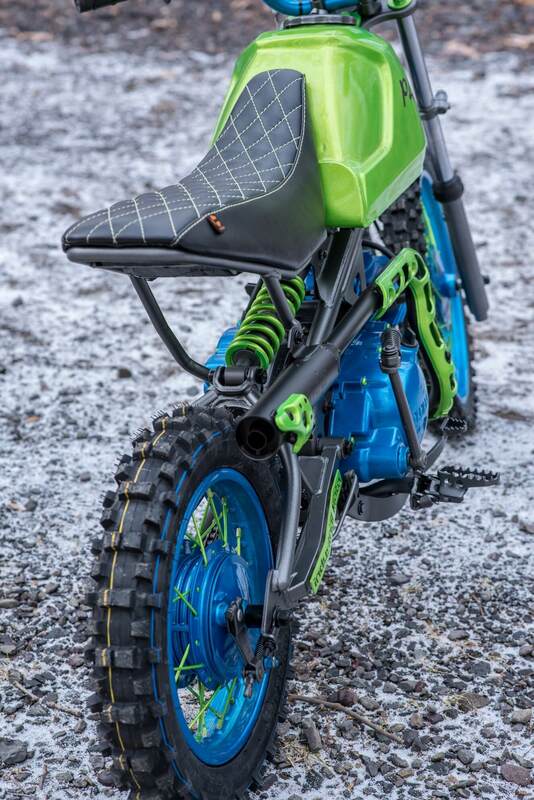 The unique gas tank and seat combination give this bike a unique look that you will not find anywhere else. 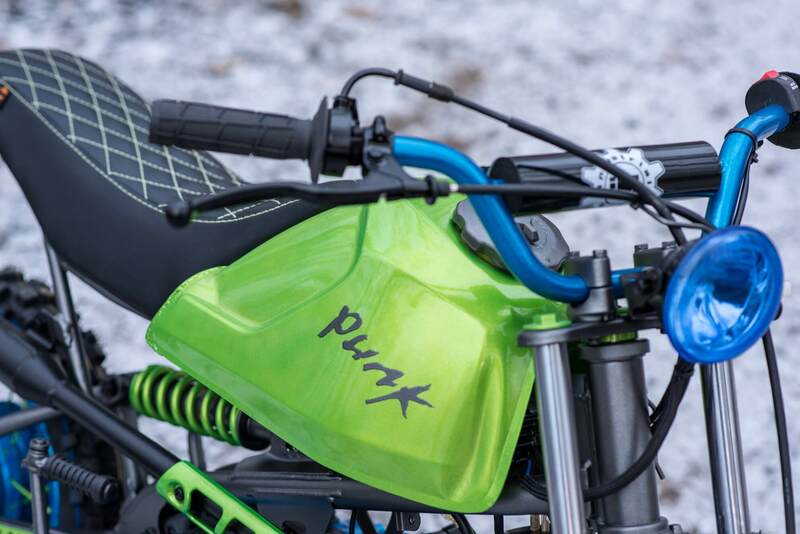 The powder coat finishes and top quality custom seat will ensure that it stands up to years of use and still looks good. 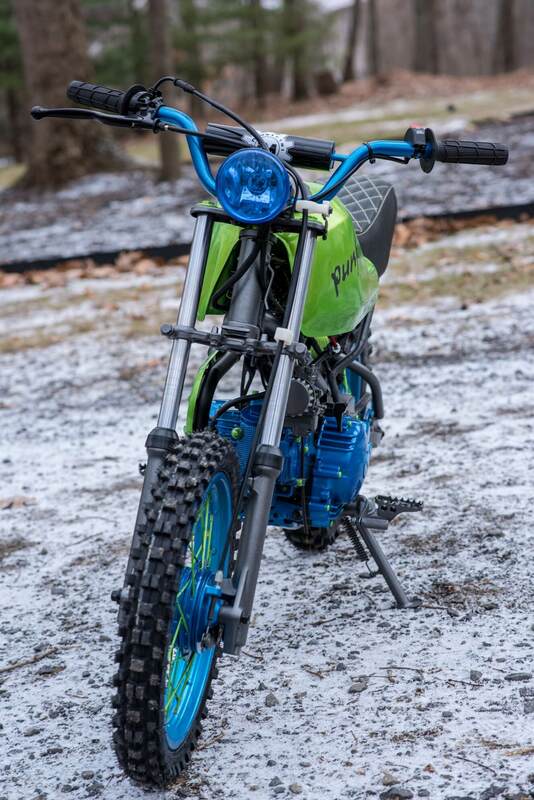 Purchase this build or contact us for your custom project.